When it comes to fly fishing, it has only one thing in common with spinning fishing, they both get you fish. However, there are no more similarities. As such, these rods are more than just different and they deserve special attention. Here is the most comprehensive guide for choosing the best rod for your applications. 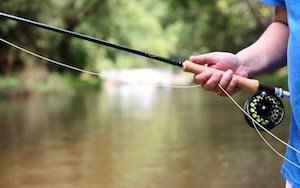 What To Consider When Looking The Best Fly Rod? 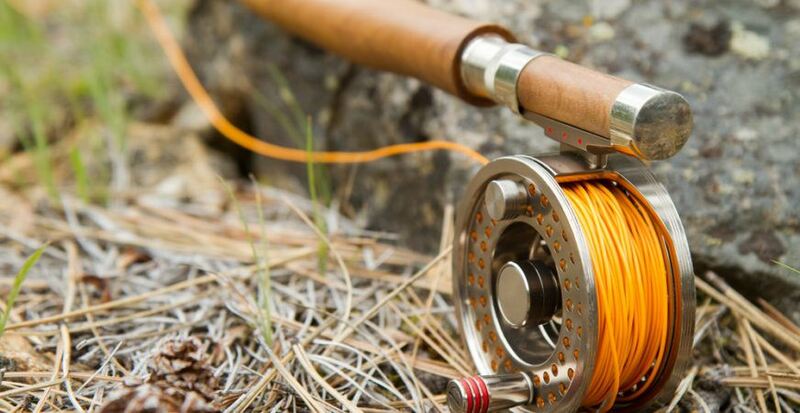 Believe or not, there are a lot of benefits when it comes to fly fishing rods. 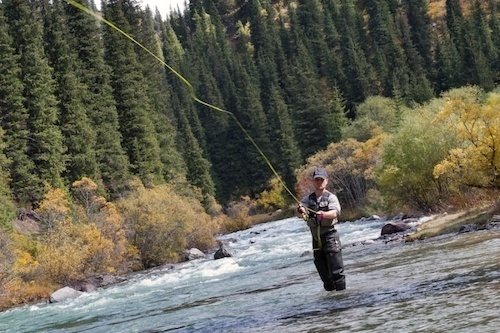 One of the main is the ability to fish in rivers. Other rods are more focused on fishing on calm, standing water if we can say so. This is a massive advantage and the type of catch is more than just different. On the other hand, this isn’t the only benefit you will get when you use a fly rod. You will use smaller lures in a much bigger distance. This is an advantage that makes a huge difference and which allows you to catch different types of fish. Because you will get literally over a massive distance, you have higher chances to catch more fish. Keep in mind that you will need to know how to reel in a fish using a fly rod. These rods are great for long distance pickups. You don’t have to reel in the entire line before you can throw again. As such, the benefit is translated into the ability to catch fish on both sides of a boat. All you have to do is to throw the line on another side of a boat and you are done. Besides that, these rods are extremely durable and more than just powerful. They are made of special materials and they offer special advantages, such as high sensitivity, sophisticated design and so much more. At the same time, we can see that they are more precise, much more than spinning rods, which is one of the benefits of using a fly rod. The size of a rod will refer to the length. That’s why we can see three main types. We have longer and shorter models on the market. Typically, the first type are models between 6 and 8 feet. They are used for smaller applications and for smaller areas of fishing. Bigger models have a size of 8-10 feet. They are obviously essential for bigger rivers and even lakes. They are also the most popular models on the market. The biggest units are with the length of 10+ feet. They are known as spey rods. If you are still looking for a new fly rod, here are some factors that, must be taken into consideration. As we have mentioned, these rods are complicated, therefore all of the factors must be considered. Weight can be categorized between 0 and 14. The lower the number, the lighter the rod will be. But, the weight affects which type of fish can be caught with that rod. Lighter models are more suitable for smaller fish. Heavier are obviously designed for bigger fish. Here we can see that all fly rods can be divided into slow, fast and medium. Fast action rods will bend only 1/3 on the top. They are stiffer and they are designed for larger fish. They are not very sensitive though. Medium will bend 2/3 of the length and they are suitable for medium-big fish. They are also the best and the most recommended to the beginners. Slow action units will bend almost to the handle and they are superb for catching small fish. In the lack of a better word, the material makes a fly rod strong, more flexible or brittle. The cheapest models are made of bamboo and they are glued from different parts of the wood. They are also appealing to use and they may look the best for some of you. Fiberglass models are much better and they are more professional. They are still new on the market. Graphite models are the most common and they come available in all sizes and shapes. Keep in mind that graphite has been engineered to become stronger and more flexible than ever before. Here are a few words about the best manufacturers or brands that make the best fly fishing rods. Their models have been the top-rated units and they are considered as a safe choice. Click here to check out which rods made it to our top list. This brand comes from Wisconsin in the United States and they have been among us since 1977. Their sole purpose is to make rods which give the edge to the fishermen and help him make an impressive catch. Most users believe that this brand makes the best rods on the planet. 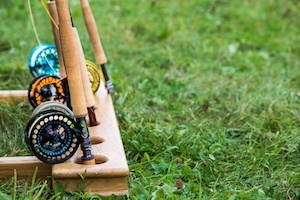 Read about our St Croix Legend Elite Fly Rods review. Loomis is a bit more specific brand. They have been known for making rods for professionals, so they are available at higher prices. Not long ago, they started offering rods which are available to the general consumer. Of course, they are still expensive. One of the fly rods from Loomis, the NRX Lite is pretty impressive. The brand in question offers more affordable rods and it is known for a perfect balance between the price and quality. They offer a lifetime warranty for $35. Read our Echo fly rods reviews to find out more on Echo Carbon XL. The name refers to the local lake where the company was founded in 1952, in Kent, Washington. They were one of the first manufacturers it uses fiberglass models. In addition, they were founded by the 5 businessmen who was passionate about fishing. Read review of Fenwick AETOS here. They come from the United States and they offer carbon fiber blanks, special grade graphite rods and have a wide array of choice. You will probably be able to find a rod made by this brand. Find out more from our Allen Prelude fly rods reviews. Sage is US brand as well and it was founded in the 80 by Don Green and Bruce Kirschner. At first, they had 6 employees, but now they have 175 and 30.000 feet of development center. Their sole purpose is to provide the finest fishing equipment. Check out here for Sage Approach review. More commonly known as TFO, these guys are focused on finding a perfect mixture between the price and quality. We can say that their rods are excellent value for money and they are loaded with details. For more information, hop on to our Temple Fork Outfitters fly rods reviews. This is the newest brand of them all and they have been among us since 1992. They are located in the Pacific Northwest and they use the latest technology and the most sophisticated materials in order to make stunning fishing equipment. One of their most welcomed fly rods is Redington Path II, find out more from our review.